Updating Windows 7 is necessary if you want to keep your windows machine to work effectively. Updating windows normally fixes any bugs available on windows operating system but sometimes some update will not operate as we are expected. 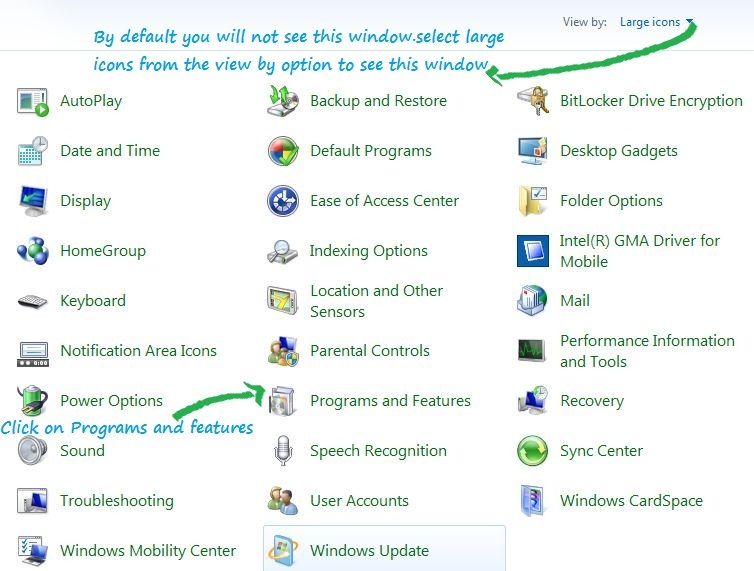 Today I will show you how to remove these unwanted updates from windows 7. Step 1: Go to Start>Control Panel>Programs and features. Now you will get all installed updates on your Windows 7 computer. Step 2: Click on uninstall a program. Now you will get all installed application list with version, installed date and publisher details. 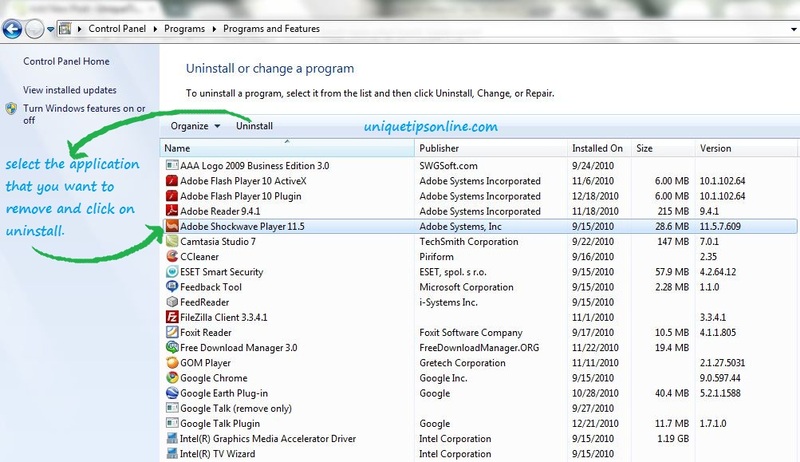 Once you installed an update and your computer starts to act strangely, you can sort the updates found in the above window in your windows 7 computer by date and uninstall the most recent updates to fix your PC problems. How to get back to old Facebook Chat Window ? Simple but useful tip madhav. now, how do u do that from the recovery console?